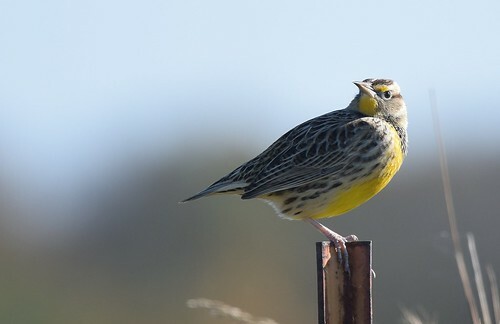 Footage of a singing Eastern Meadowlark gathered at the Bradford Farm Experimental Station (University of Missouri) near Columbia, Missouri. I particularly like the second clip, which is a study in browns. The whistled song of the male has been likened to the phrase "Spring Of The Year". 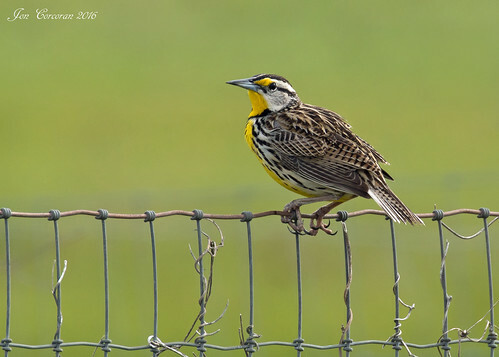 The song of this bird is of pure, melancholy whistles, and thus simpler than the jumbled and flutey song of the Western Meadowlark; their ranges overlap across central North America. 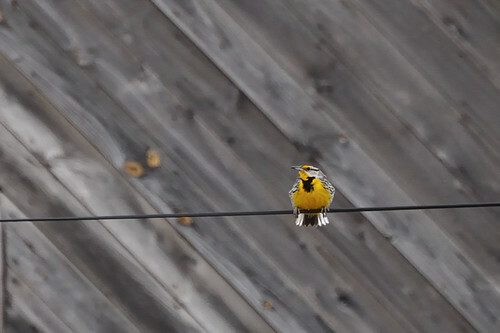 In the field, the song is often the easiest way to tell the two species apart, though plumage differences do exist, like tail pattern and malar coloration.